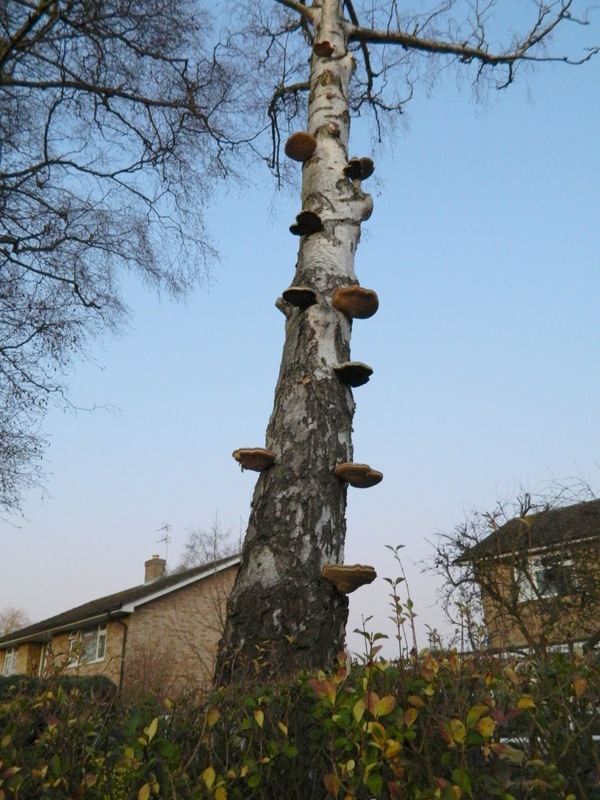 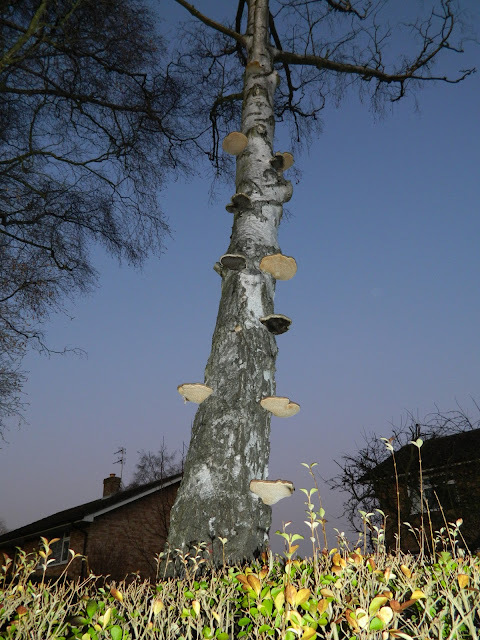 This interesting silver birch on the street outside C. S. Lewis’ house has a “ladder” of bracket fungi growing up it. 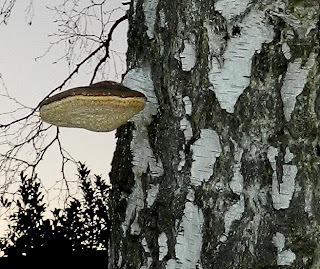 This photo is taken with a flash. A detail of the bracket fungus, and another shot of the tree without a flash.